An article in STAT News (Nov. 22) suggests that the FDA’s drug approval process and reliance on the “gold standard”will undergo “a seismic shift” in the Donald Trump administration. However, long before the Trump presidency, consumer protection laws and scientific standards for the approval of both new medicines and genetic engineering of food products have been systematically undermined under previous administrations headed by either party. They have been undermined by political influence, corporate “pay for play,” and misrepresentation of science and mass dissemination of disinformation. 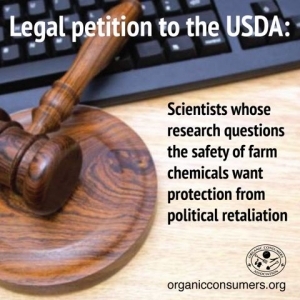 “In a stark demonstration of the power of the agrochemical industry to dictate the terms of our nation’s food safety system, President Obama recently ignored 250,000 petitioners and signed into law Senate Bill 764, known to many as the DARK (Deny Americans the Right to Know) Act. 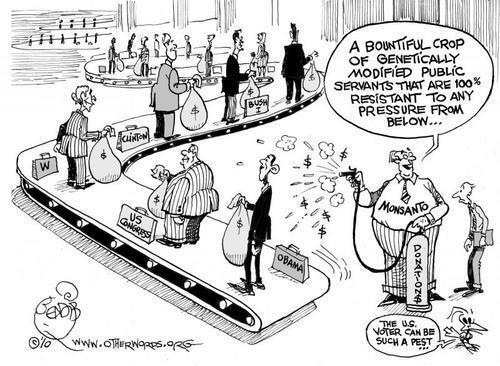 Monsanto and its GMO-pesticide-hawking allies have already corrupted the executive branch agencies such as the Food and Drug Administration (FDA) and Department of Agriculture (DOA) with a revolving door enrichment scheme for government officials. Now they are winning legal claims that federal agencies, originally created to protect public health, should instead serve as legal shields to protect corporations from any and all public safety regulation by local and state governments. In striking down the Vermont law, Congress has made sure that American exceptionalism, on behalf of corporate donors against basic consumer rights, is a mainstay of U.S. politics. 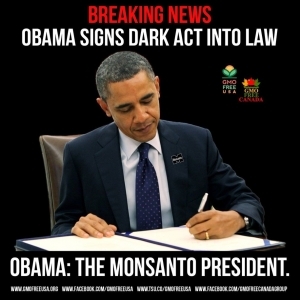 The DARK Act ensures that the United States will not follow the 64 countries around the world that now require plain labeling of GMO food. “What the DARK Act shows us is that multinational corporations are not just lobbying and exercising power; they are literally ruling us,” said David Cobb, outreach director of Move to Amend. When President Obama took office in 2008, he pledged to restore a scientific integrity corroded during the Bush Administration. The evidence, however, demonstrates that under the Obama administration the scientific integrity and basis for US drug approval and GMO food policies have suffered further corrosion. In 2009, President Barack Obama signed a statement that said decisions in his administration would be based on science, not politics. An interesting anecdotal article compares FDA regulations issued under President Obama for their wordiness. Even if combined, the Bible, the 7 book Harry Potter series, and the U.S. Constitution don’t come near the number of words used in FDA regulations issued under Obama. 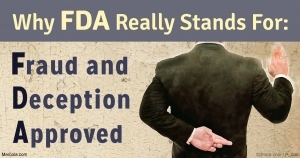 The FDA used 2,666,000 word in 545 published rules covering drugs, medical devices, food additives, and animal drugs. (“2,666,000 Words: FDA Rules Issued Under Obama Twice the Length of Bible” Ali Meyer June 2015) But did these regulations support scientific integrity? Did they serve consumer safety or industry profits? In 2015, Obama appointed Dr. Robert Califf to head the FDA. Califf is a Big Pharma lobbyist who had received millions of dollars from Eli Lilly, Merck, Novartis, and other drug companies. “Califf previously came under fire for helping to establish the Duke Clinical Research Institute, which is funded primarily by pharmaceutical companies. According to a 2014 “Conflict of Interest Disclosure,” Cahill admitted his close connection to the industry. As TIME summarized, his income is “contractually underwritten in part by several large pharmaceutical companies, including Merck, Bristol-Myers Squibb, Eli Lilly and Novartis. He also receives as much as $100,000 a year in consulting fees from some of those companies, and from others.” The FDA insists Cahill donates his private income to nonprofits. Under the Obama administration, the Department of Agriculture (USDA) has taken the position of dictating what science is permissible. If scientists are prevented from drawing science-based conclusions that have “real-world implications,” then public policies formulated under such restrictions, are not applicable in the “real-world”; they are irrelevant. Posted by Vera Sharav | Wednesday, November 23, 2016 |	Categorized Corrupt Practices | Tagged GMO, Pay for Play, Monsanto Doctrine, DARK Act, Jonathan Greenberg, STAT News Trump, Laura Murphy, Environmental & Natural Resources Law Center Bookmark the permalink.